Cloth diapering, co-sleeping, baby wearing, crafty mom to two girls on the autism spectrum. My adventures from everything from crafts to autism, to everything in between. Have you heard of No Big Dill's Once upon a Thread? Its an awesome month long project where she asked different bloggers to pick their favorite children's books and do a project based on them . There are some really great ones. Definitely go check them out. 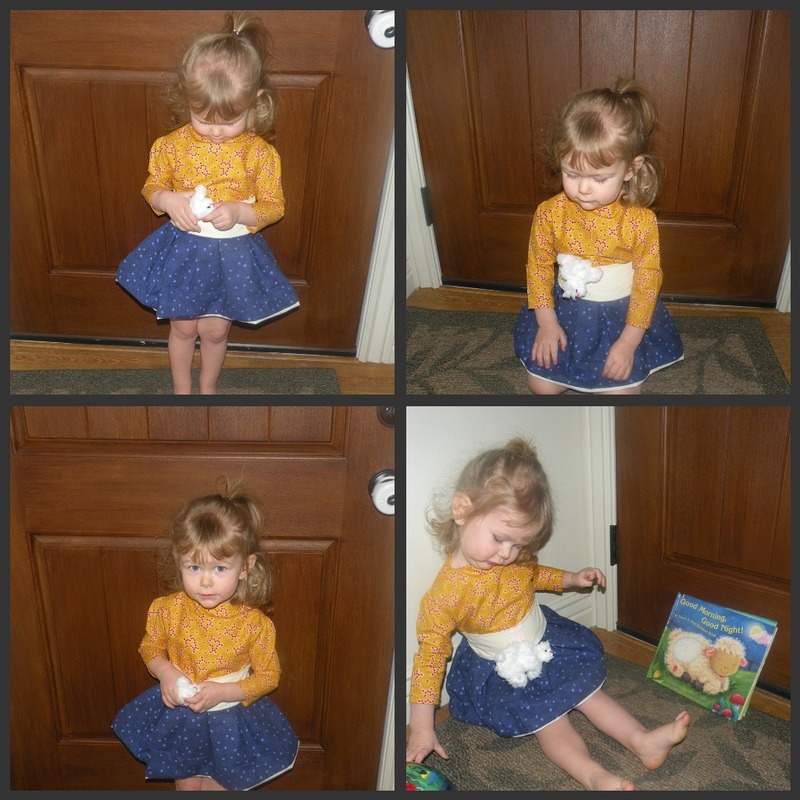 While they are all awesome, I'm particularly drawn to The Love you Forever Skirt from A Lemon Squeezy Home. Probably because that's is one of my favorite children's books. So while reading all these wonderful posts about cute children's books, I decided that Tabitha needed a dress based on her favorite book, Good Morning, Good Night. Tabitha Loves this book, She loves to pet each animal and say nigh nigh to each one. She makes us read it at least 3 times a night. I started with a really pretty Yellow with red flowers for the top, (can't remember the name of it right now) and some blue with stars that i've had in my stash forever. The Skirt is made from 1/4 yard of the star fabric and lined with unbleached muslin. The top is made from the yellow flower material and completely lined. I used some pretty buttons I got on clearance at Joann fabric's a while ago. 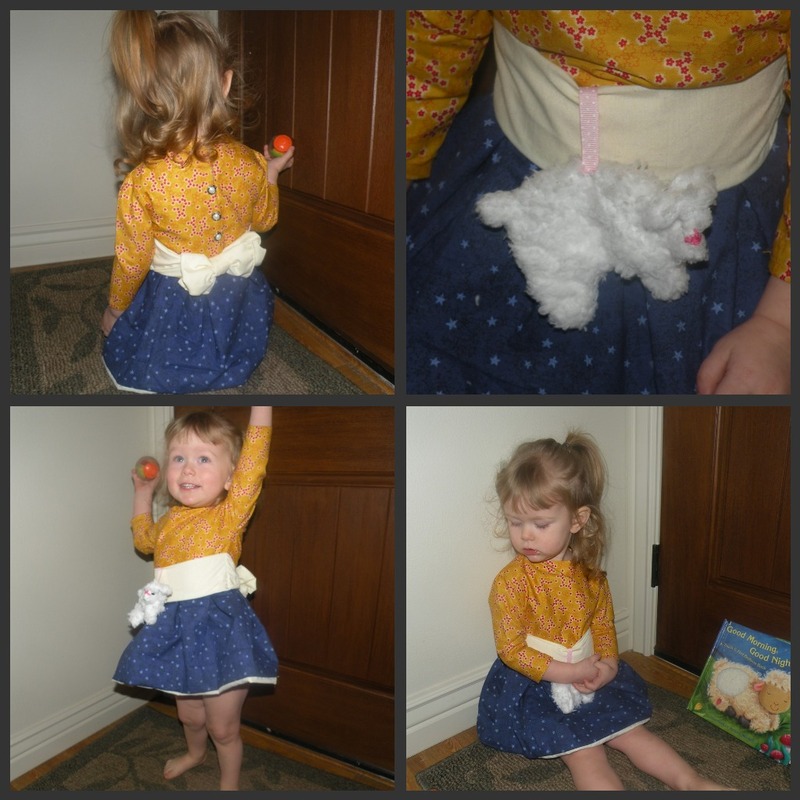 The sash is made from more unbleached muslin and the little lamb poking out of the belt is made of leftover minky from Tabitha's first halloween costume (she was a lamb! haha). The top has a boat neck and 3/4 length sleeves. My favorite part is that the little lamb fits in the pocket that the sash makes. So cute! 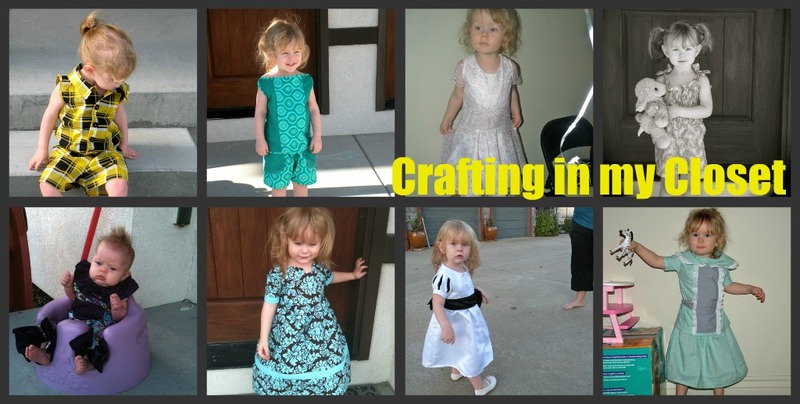 I'll be entering this dress into the Lil Blue Boo/ Dharma Trading Design Challenge at WWW.Lilblueboo.com go check it out! So cute! You did a great job creating her outfit. :) Love the little lamb. Buy Glow Bug Cloth Diapers Right here on CIMC. Playtime! A WAHM event at EG Baby Design Review and Giveaway! Summer Fun With Kids: Fun with kids while pregnant. Summer Fun With Kids: Sew Easy Boys Wallet. Teresa Peschke. Picture Window theme. Powered by Blogger.